The previous high quarterly GDP growth was recorded in January-March of 2015-16 at 9.3 per cent. 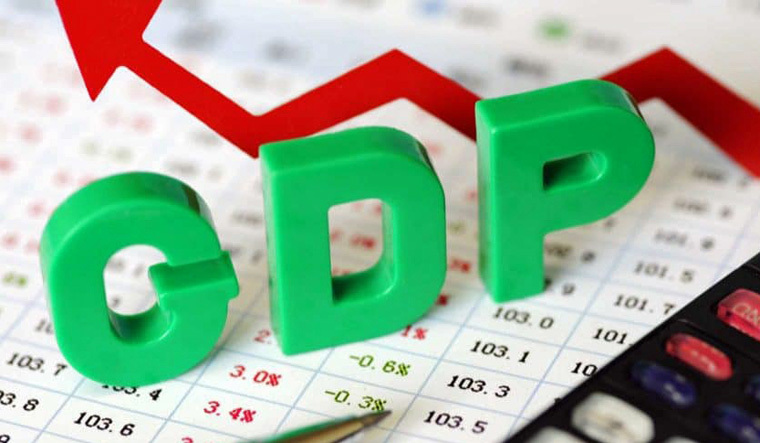 The Gross Domestic Product (GDP) at constant prices (2011-12) had grown at 5.6 per cent in the April-June quarter of last fiscal, according to government data released Friday. The CSO said that manufacturing activities expand at the rate of 13.5 per cent in the quarter under review. The sector had witnessed a decline of 1.8 per cent in similar period last year. Finance Minister Arun Jaitley said in a tweet that the growth represents the potential of new India. "Reforms and fiscal prudence are serving us well. India is witnessing an expansion of the neo middle class." "The GDP growth rate of 8.2% for the Q1 (April-June) of fiscal year 2018-19 indicates clearly that several structural reforms introduced such as GST have started giving rich dividends.The growth in manufacturing sector (13.5%) also indicates broad based recovery of demand," he said in series of tweets. The CSO data further said 'agriculture, forestry and fishing' segment of the economy posted a growth of 5.3 per cent as against 3 per cent year-on-year. Growth in the 'electricity, gas, water supply and other utility serives' was 7.3 per cent and in construction activities it was 8.7 per cent. 'Trade, hotels, transport, communication and services related to broadcasting' and 'financial, real estate and professional services' segements posted slower growth in comparison to the year-ago quarter. "Excellent growth performance in I qrtr. 8.2 per cent overall growth, 13.5 per cent growth in manufacturing and over 10 per cent in capital formation. In a tweet, Executive Chairman Mahindra Group Anand Mahindra linked the GDP growth number with the Asian Games, saying "...this is like receiving news of a medal... We’ve been sensing a strong recovery of the economy across our various businesses.This data supports that hypothesis. Now, to sustain momentum we need more reforms & swift decision making by policy-makers..."
President of PHDCCI Anil Khaitan said the growth of agriculture, forestry and fishing is reflecting the focus of the government on farm and rural economy during the last few years which would go a long way to strengthen the economy and put it on USD 5 trillion economy by 2025.